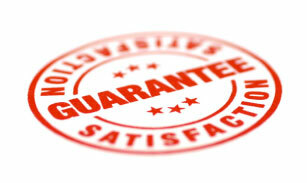 We have the longest and the best guarantees our industry has to offer!!!!! 100% Replacement Guarantee – During the first year, if for any reason you are not 100% satisfied with the performance of your new equipment, our service, or our employees, we will strive to remedy the situation and satisfy any concerns you may have. If we fail to satisfy you within 30 days of your request we will remove the system and install a new system at no cost to you. No Lemon Guarantee – When you invest in a new heating and/or cooling system, provided the system is operated in accordance with the manufacturer’s guidelines and has been serviced annually by Priority One, our “No Lemon Guarantee” provides you with the ultimate protection and peace of mind. In the event of a major failure to your furnace’s heat exchanger (cracks) or if your heat pump or air conditioning compressor fails within the first 5 years of ownership (to the original owner), rather than make the repairs or replace the broken parts, we will replace the entire furnace, heat pump, or air conditioner with a new one, at absolutely no cost to you. Lifetime Ductwork Warranty – We guarantee that all ductwork we install will efficiently and effectively distribute your conditioned air, with minimal leakage and top quality thermal protection, for as long as you own your home. Priority One cannot be held responsible for damage caused by vermin, fire, floods, or acts of others. Property Protection Guarantee – All customer property such as lawns, shrubbery, carpeting, walls, floors, furniture, and vehicles will be protected. All property will be repaired or replaced if damaged by Priority One. Safe working practices will be used to prevent any damage to your home. Energy Savings Guarantee – When installing a new, higher efficiency comfort system, we guarantee savings. If the guarantees set forth by Priority One are not realized, we will refund you double the difference of your savings not realized for the first year. Lifetime Thermostat Warranty – This warranty provides 100% coverage on your gas furnace and/or heat pump forced air heating & cooling thermostat. If your thermostat fails, we will replace it with a new thermostat of equal or greater value, at no cost to you. Parts and labor are included. Transferable Comfort Guarantee – We guarantee all parts, labor, and equipment for up to 10 years, when you agree to have Priority One perform a yearly maintenance for the warranty period in order to keep the warranty valid. This maintenance prolongs the life of the equipment and ensures its efficiency. This warranty is transferable in the event that your home is sold. Lifetime Repair Warranty– Priority One is committed to customer satisfaction long after a service repair. We proudly extend a lifetime service guarantee on most repairs we make to all our Savings Club customers. With continuous Savings Club membership, if the repaired part fails, With continuous Savings Club membership, if the repaired part fails (excluding refrigeration circuits), we will replace it for free!! Saturday Appointments – Priority One is the only heating and air conditioning service department that has regular hours from 7:00 am-7:00 pm, Monday-Saturday.